Are you aged 55+ and been affected by cancer? The Macmillan Prevention and Re-enablement project is always looking for enthusiastic volunteers who can help to ensure that people affected by cancer are well represented, and receive the most beneficial support from the project. Are you confident talking with new people? Do you have experience of activities that you’d be happy to share with others? Would you be willing to represent us at events across the city? 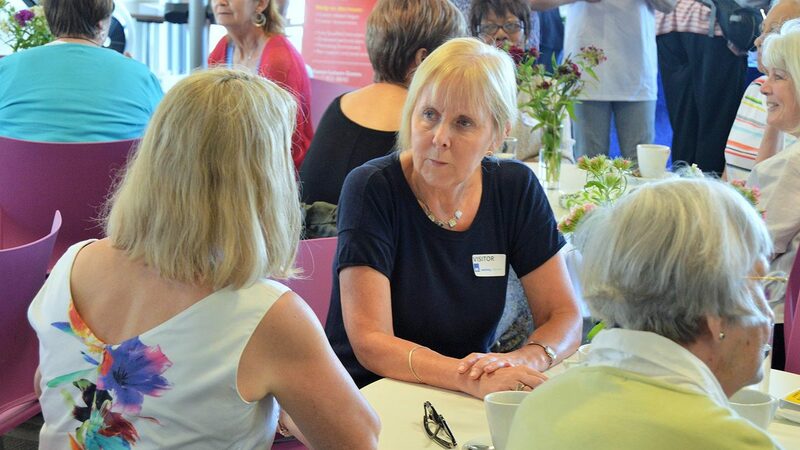 We are looking for enthusiastic volunteers, who will help us to promote the benefits of taking part in activities, and ensure that people affected by cancer are welcomed and well informed about what’s available. Would you like to shape how we support people affected by cancer into activity? We are looking for people aged 55+ who can commit to one hour every three months, to help make a difference. Our Advisory Group are a really important part of our work, and their input and ideas ensure that we are providing the most beneficial support to individuals that we work with. Meetings are based around a range of topics and questions and are normally organised around a delicious slice of cake! To find out more or to register your interest, please call the Macmillan team on 0117 353 3042 or email macmillansupport@linkagenetwork.org.uk.